*aggressive whining* but muh HTML5!! Want a classic web experience? Well, you've come to the right place. Stay tuned for great resources on all sorts of old technology! Yes, this website looks like it came right out of the 1990's, and that's on purpose. Old computers are only one of the many fun pieces of vintage technology out there.  This website will, in addition to providing resources and information, help to make these old machines just that much more useful in the modern world. Try it out on Netscape Navigator! Browse around using the menu and find out what's here! 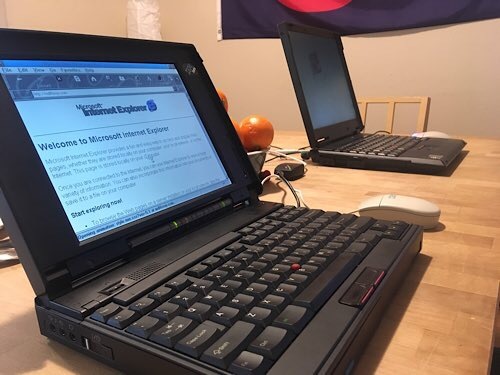 Two generations of IBM Thinkpads - in the foreground, a 365CD from 1995 running Windows 95, and in the background, an A20m from 1999 running Windows 98. Both are connected to the Internet and being put to some good use editing this website!